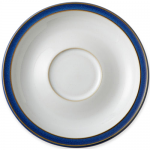 Denby's Imperial Blue is one of the most popular ranges, with vibrant blues and crisp whites making the perfect combination. 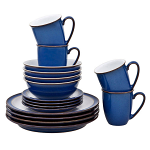 A modern classic, both bold and confident, if you want to make a statement then Imperial Blue is the tableware for you. 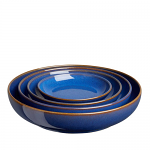 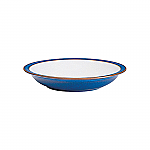 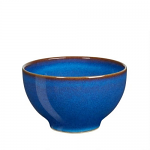 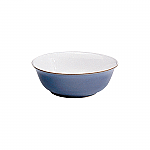 Denby Imperial Blue is made of stoneware clay and is very strong. 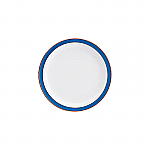 It can be safely used in the Dishwasher, Oven & Microwave for cooking and reheating food and in the Freezer for storing food.